Rapid PHP provides clean, familiar and fully customizable interface for different needs. 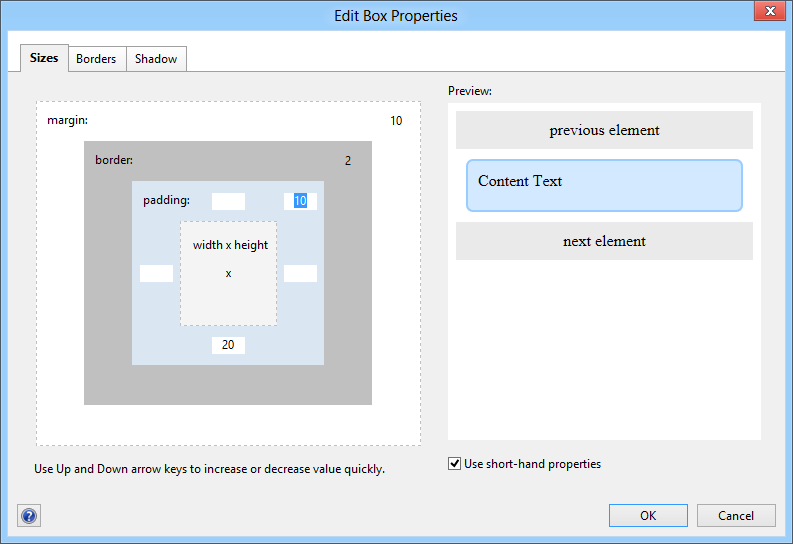 You can save and load different layouts in a snap. Now you can also switch between modern and classic interface style. Choose between several themes. 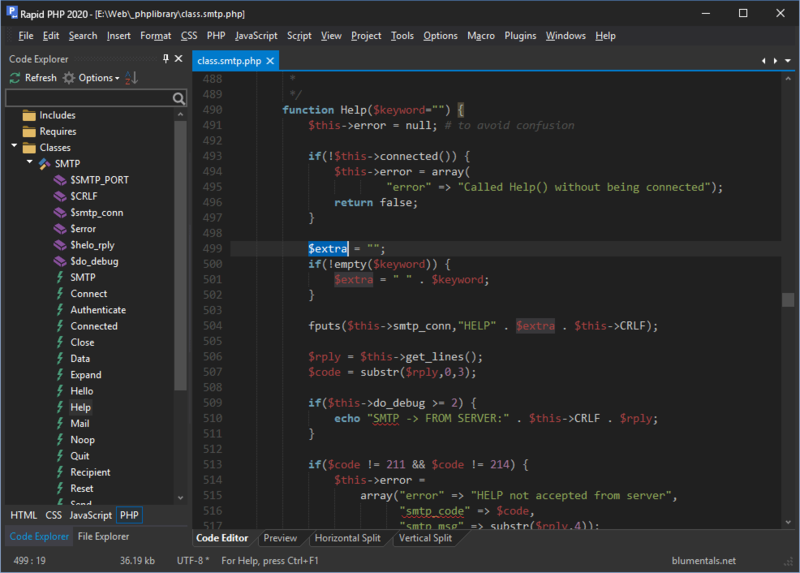 Full dark theme is available. While each documment resides in a separate window, you can use file tabs to navigate through open files. You can enjoy advantages of both multi-window and tabbed interface designs. 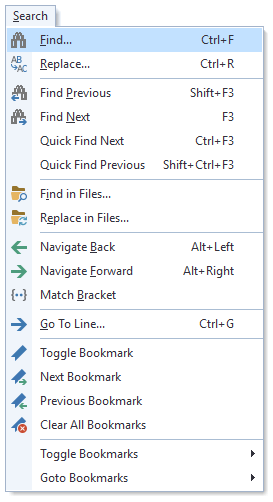 Of course, drag and drop works as well as mouse-wheel-click to close any tab. 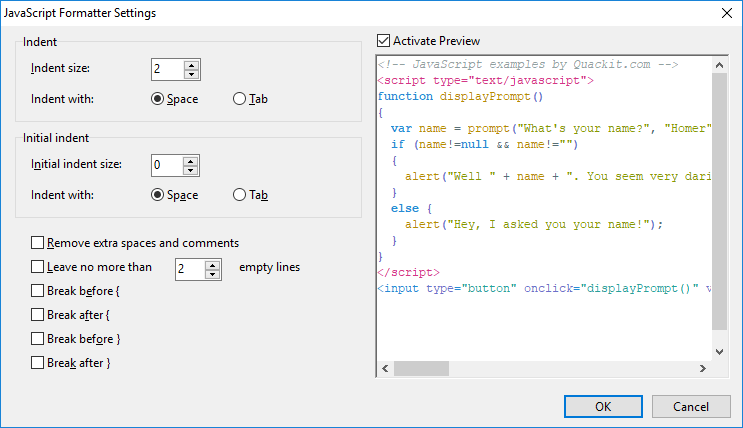 Text editor supports word wrap, syntax highlighting, bracket matching, bookmarks, unlimited undo/redo levels, code folding and anything else you might need. 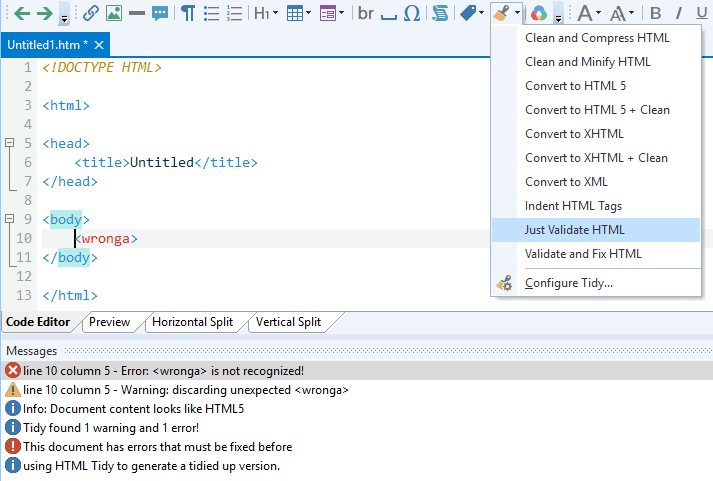 Just select any text fragment or variable and all instances become highlighted. With the new Go to anything feature, you can instantly jump to any file, symbol, word or line in your project or currently open file with just a few keystrokes. Go to anything combinations Updated! Go to anything works with file and symbol, word, line number combinations. 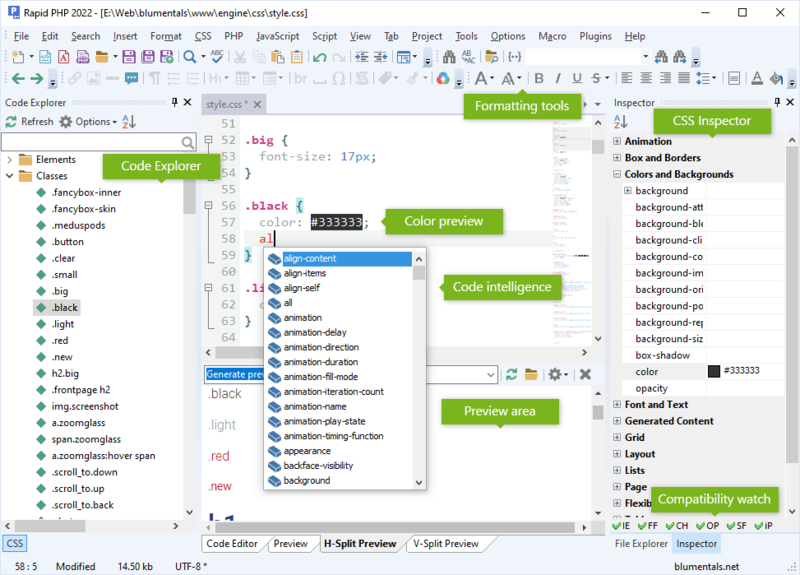 Code folding allows you to quickly show and hide logical fragments of code or freely selected text fragments. Save keystrokes with Emmet (ZEN-coding) plugin. You can learn more about Emmet here. You can work with multi-language files in UTF-8 and UTF-16 Unicode format. 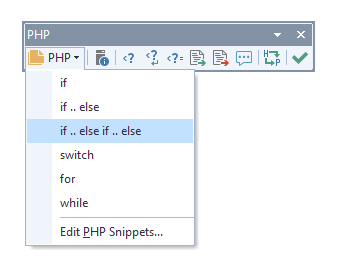 Rapid PHP is a fully featured PHP editor with all essential functions, such as Auto Complete, Function Hints and integrated documentation. 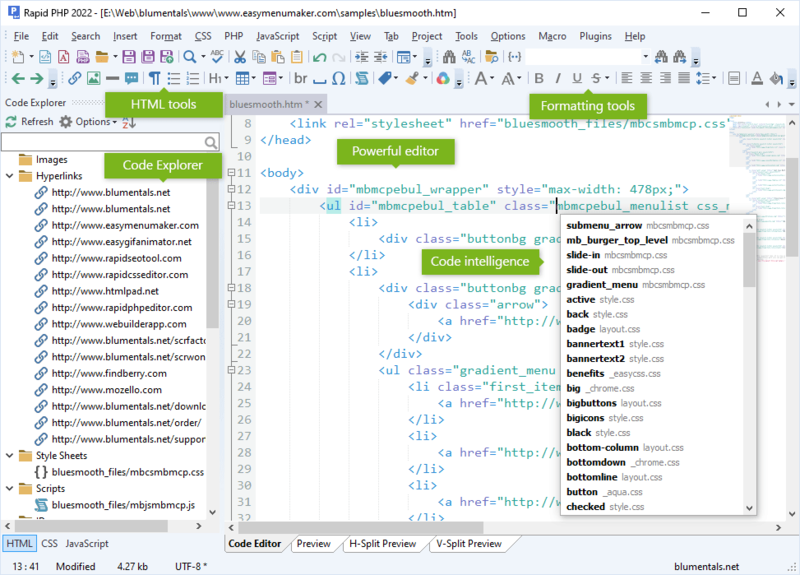 Code Explorer lists classes, functions, variables and includes contained in the script and allows you to quickly move to any of them. You can navigate to an item by clicking it. 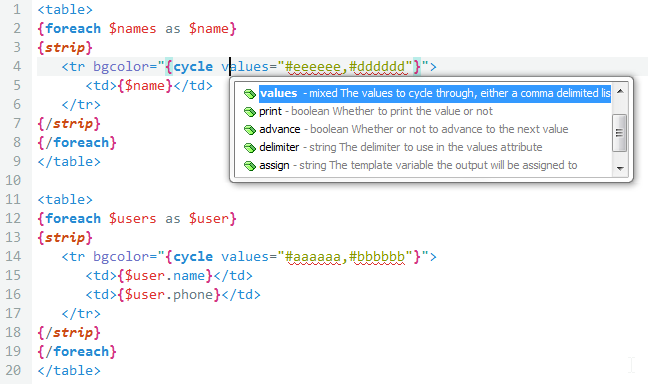 Function definitions are displayed as you type, so you do not need to look into docummentation to see function attributes. 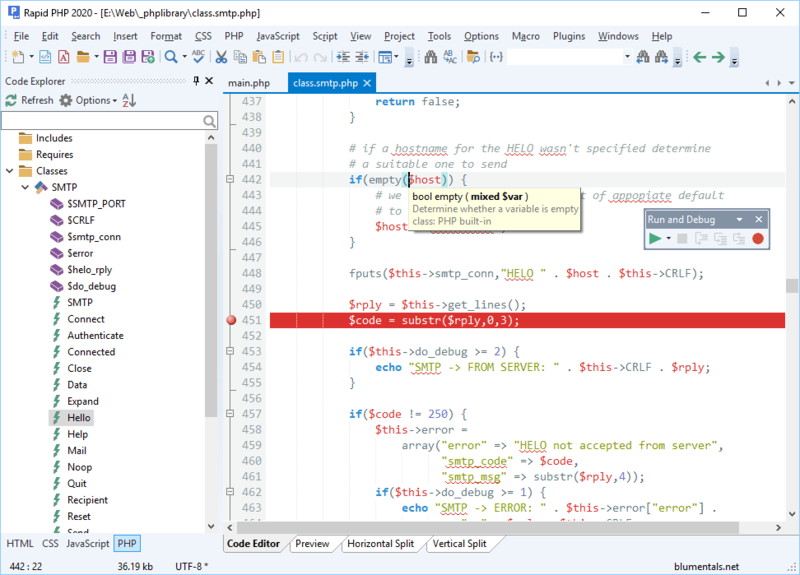 You can easily debug PHP scripts using xDebug PHP extension. 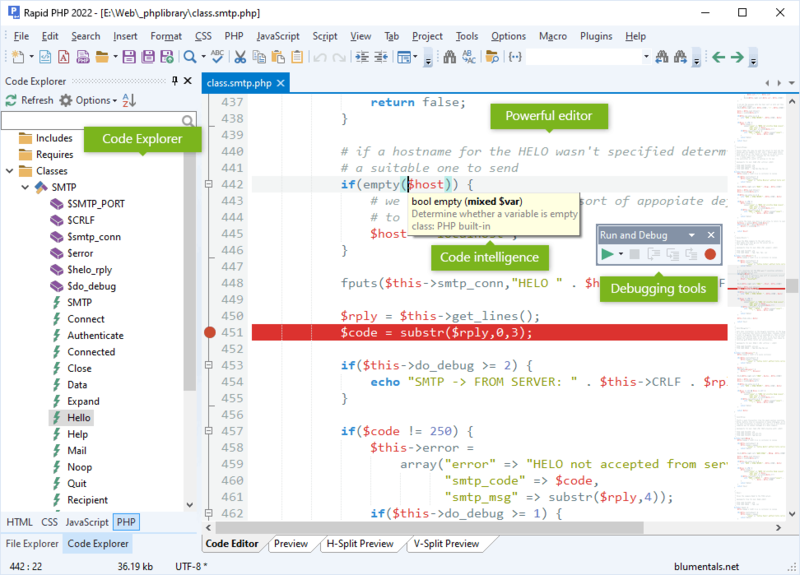 PHP debugger allows you to view Context Variables and Call Stack, Evaluate expresisons and maintain Watches. Realtime syntax check helps avoiding syntax errors. On-demand syntax check is also available. 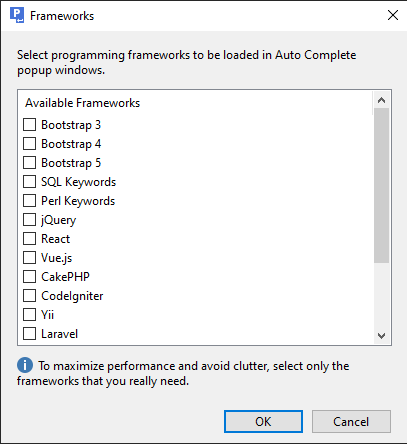 Some essential PHP code fragments and tools are available from PHP toolbar. 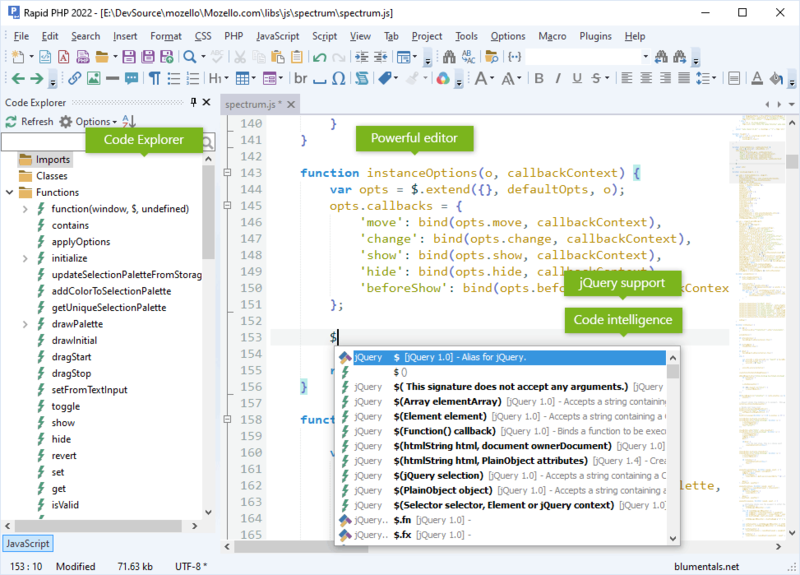 Powerful Smarty syntax highlighting and code intelligence. 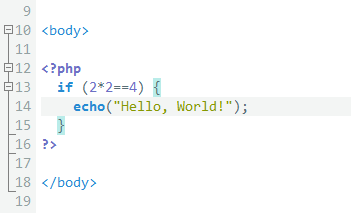 Easily re-format PHP code to fit your coding taste. 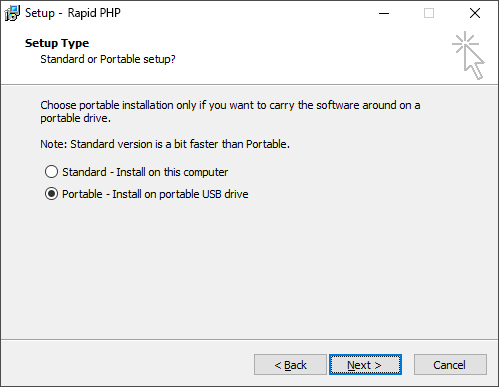 Rapid PHP a fully featured HTML and XHTML editor with all essential functions, such as HTML Auto Complete, Inspector and integrated documentation. 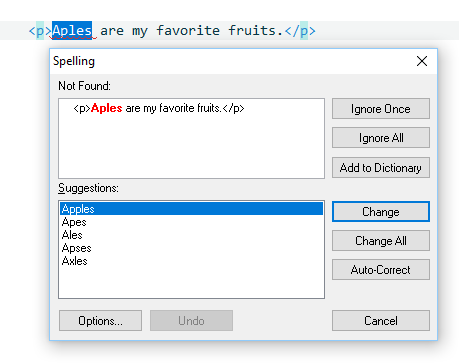 Auto Complete helps you with writing HTML tags. 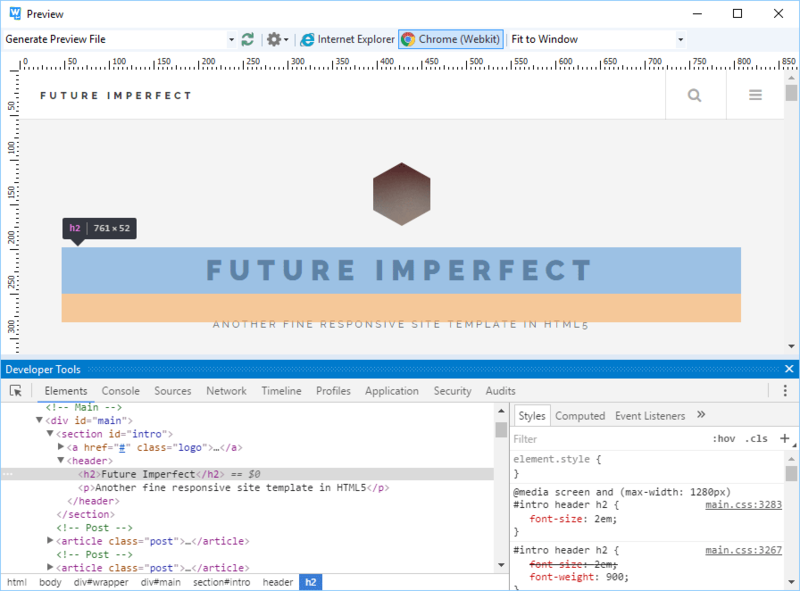 Instantly detect HTML errors. 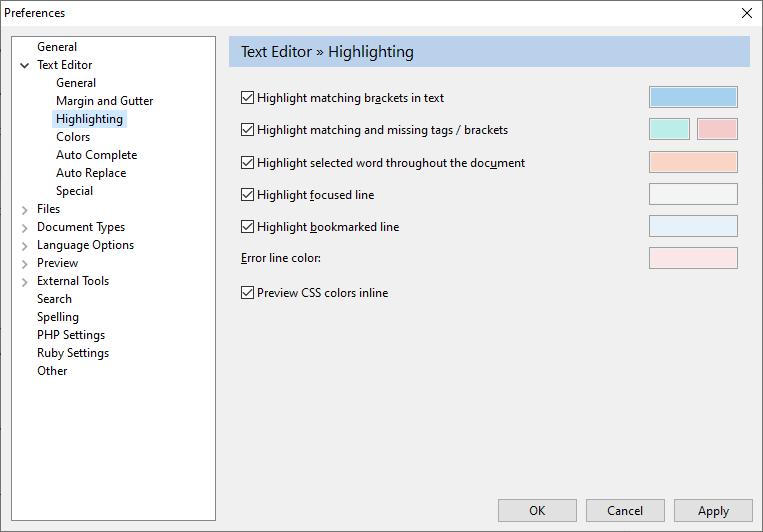 HTML highlighting features also makes navigating and reading HTML code much easier. 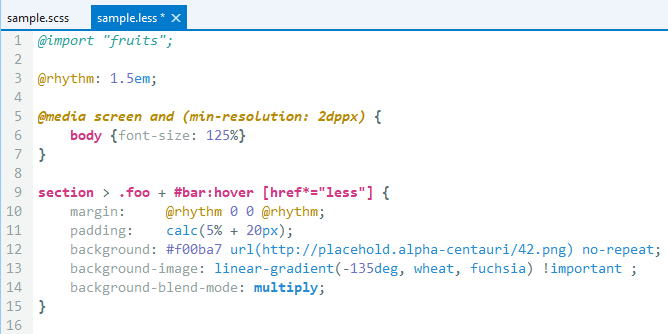 HTML tags can be indented automatically for better coding performance. 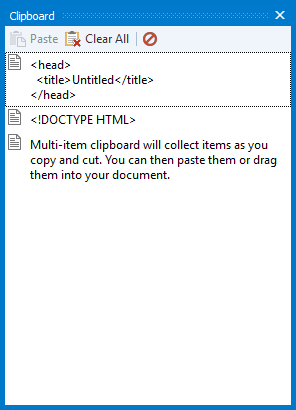 HTML Tidy for HTML 5 can validate, fix, re-format and do much more with your HTML. 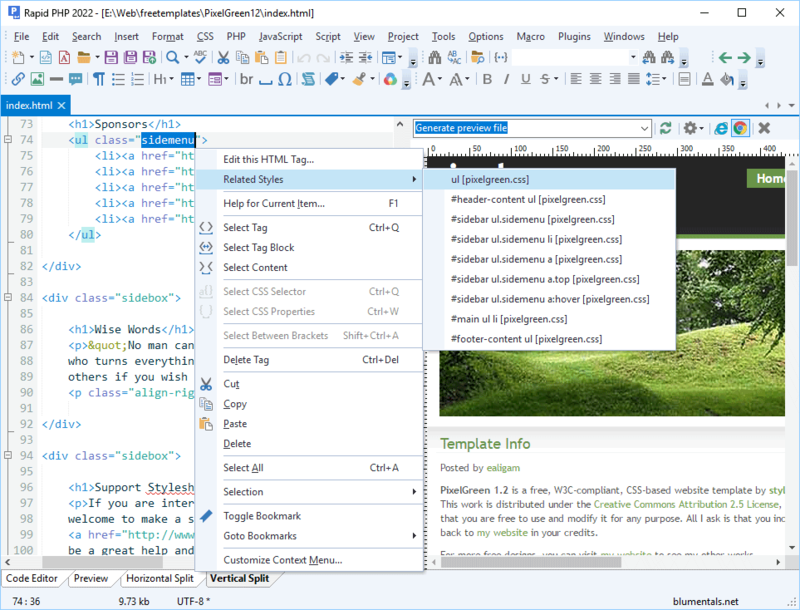 Developer tools inside preview New! 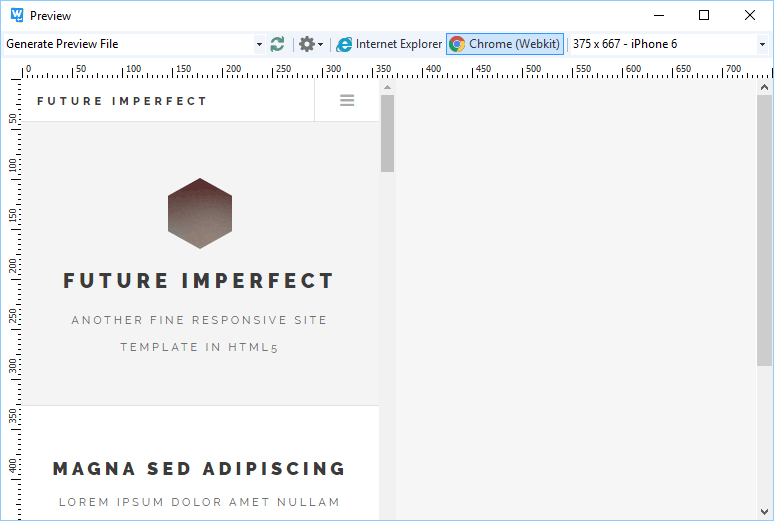 Built-in Chrome preview now supports access to its developer tools. Easily create websites compatible with mobile devices. 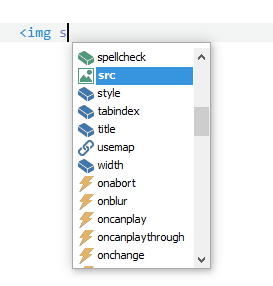 Rapid PHP is also a fully featured CSS editor with all essential functions, such as CSS Auto Complete, Inspector and integrated documentation. CSS formatting features help you modify style sheets or HTML inline style code very quickly with a single click or shortcut-key press. CSS Auto Complete helps you remember and write style property names. 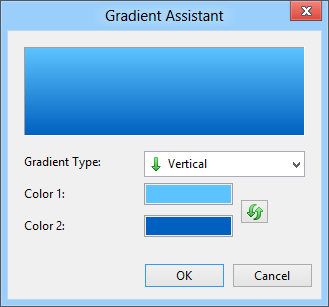 Easily create and edit CSS gradients and prefixize them automatically. Easily create and edit CSS text shadows. Super-quickly adjust complex CSS box configurations. Easily create CSS shadows with an instant preview. 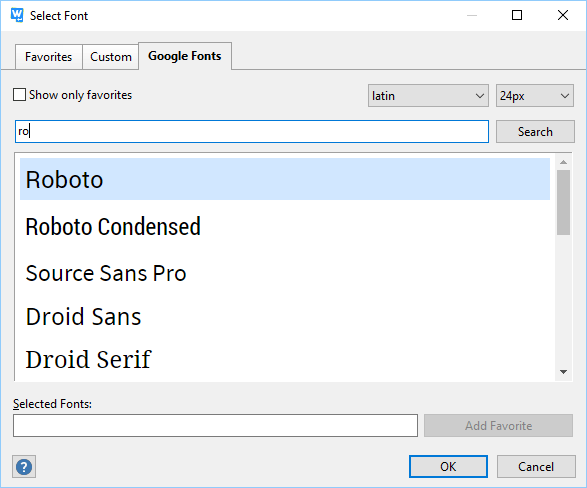 Now it is easy to use and reuse your favorite Google Fonts. Browse the whole collection or save and use your favorites. 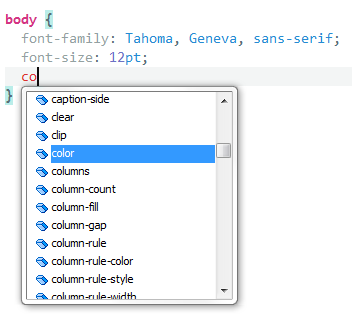 When creating HTML and CSS layouts, the built-in in-depth CSS intelligence comes in handy. 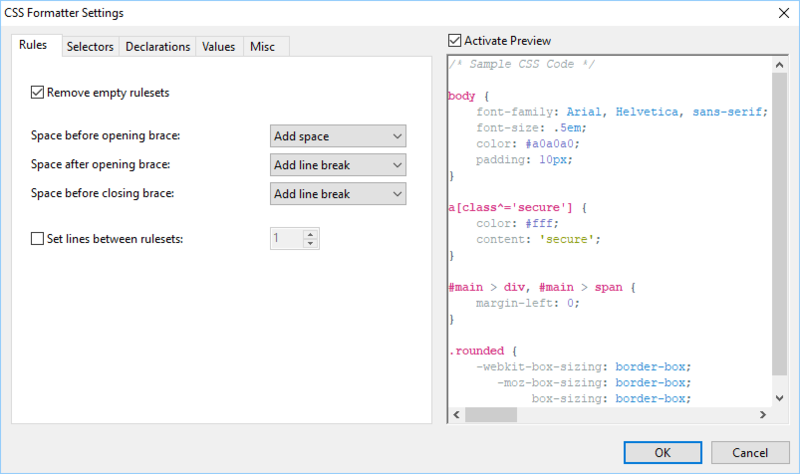 The built-in CSS prefixizer will intelligently parse your CSS code and update it to be compatible with modern and older but popular web browsers. SASS / LESS support Updated! 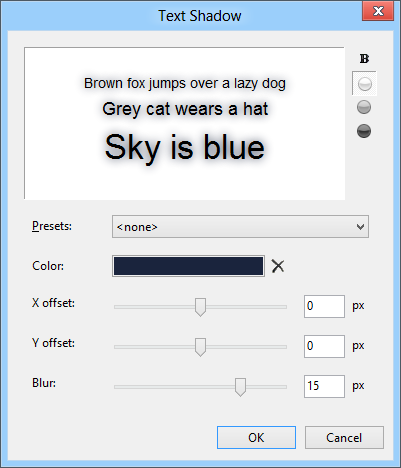 Easily work with SASS or LESS source files. Full syntax highlighting and most of the regular CSS features are available in SASS and LESS files. Easily re-format CSS code to fit your coding taste. 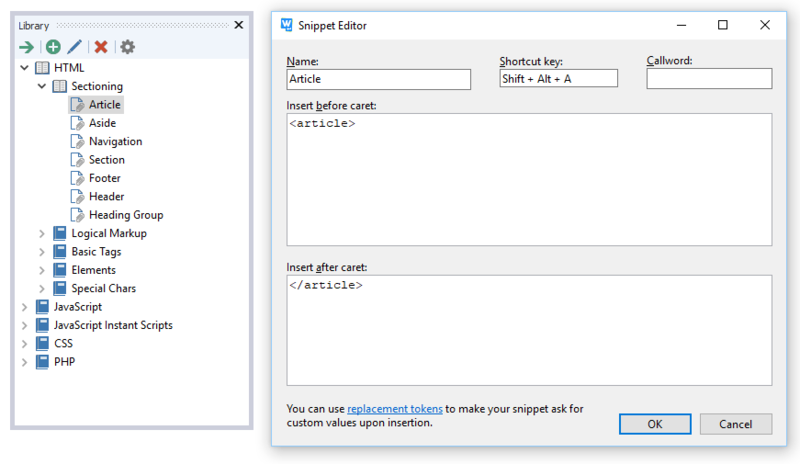 Editor will attempt to auto-adjust indenting to match your default settings if your own code is well-structured and the editor can detect a pattern in the pasted code. FTP and SFTP open/save Updated! 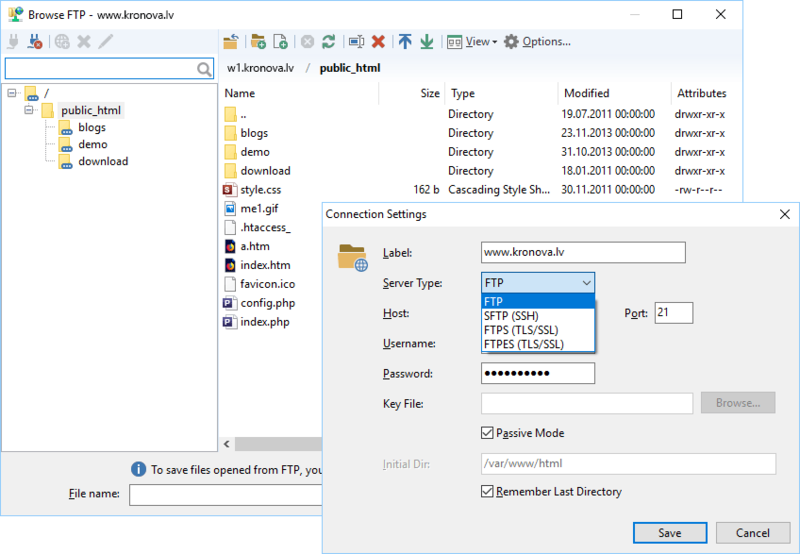 You can open/save files directly from/to FTP or SFTP server. Besides FTP, also SFTP, FTPS, FTPES are supported. File transfers such as Save and Publish are done in the background in separate task windows. 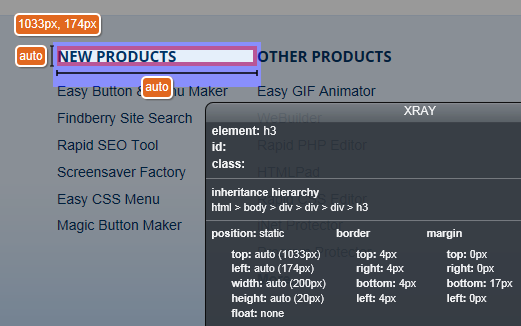 You can click any element of your web page and X-Ray tells you what styles apply to the selected element. You can activate X-Ray from the preview tools menu. Place your to-do list items directly in your code and retrieve complete todo in an instant. Standard TODO:, FIXME: and CHANGED: markers are supported. Multi-item clipboard will collect items as you copy and cut. You can then paste them or drag them into your document. 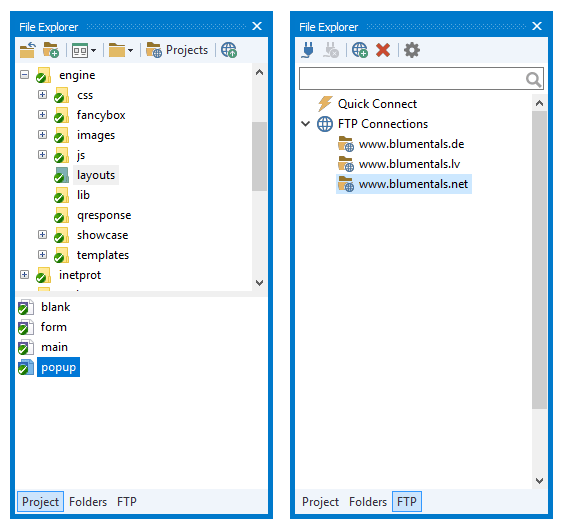 File Explorer provides easy access to files and folders. 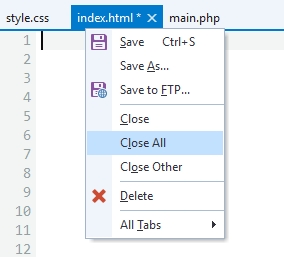 Not only you can open and browse files, you can also delete, rename and move them. 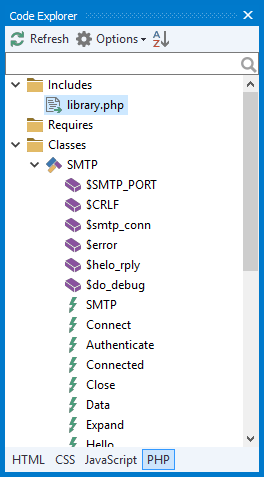 If you want, you can easily associate common file types and even have pretty file type icons. You can use Code Library to collect frequently used pieces of code so you can reuse them later and save your time. It already comes filled with some useful code snippets. 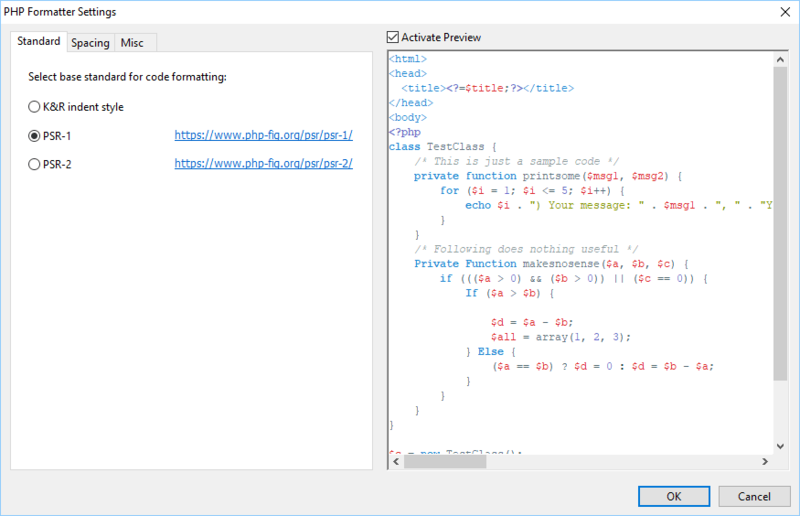 Apache .htaccess syntax highlighting New! Easily work with .htaccess or even httpd.conf configuration files. 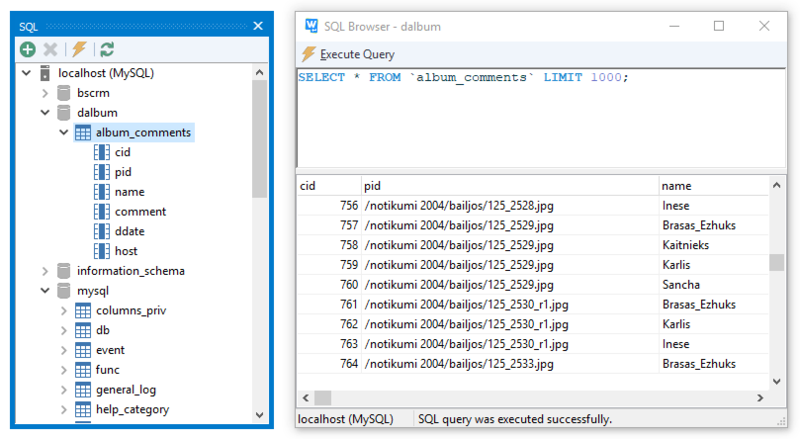 SQL Database Explorer allows you to browse database structure and test SQL queries. Supported databases include MySQL, PostgreSQL, Firebird, SQLite. 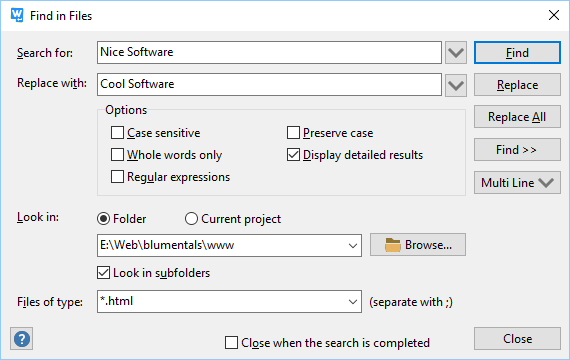 You can search for and replace text in files. 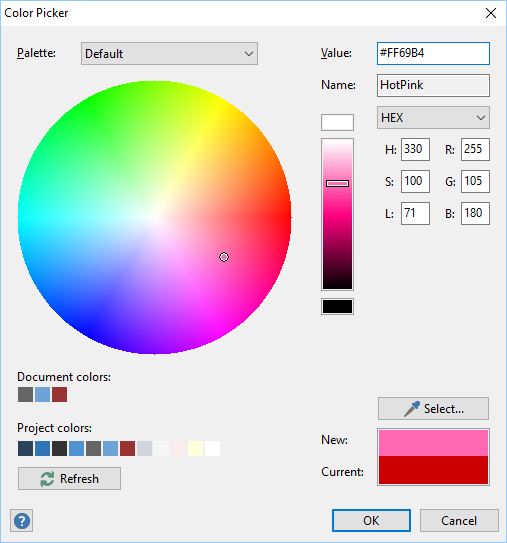 You can switch between color schemes or create your own editor theme. 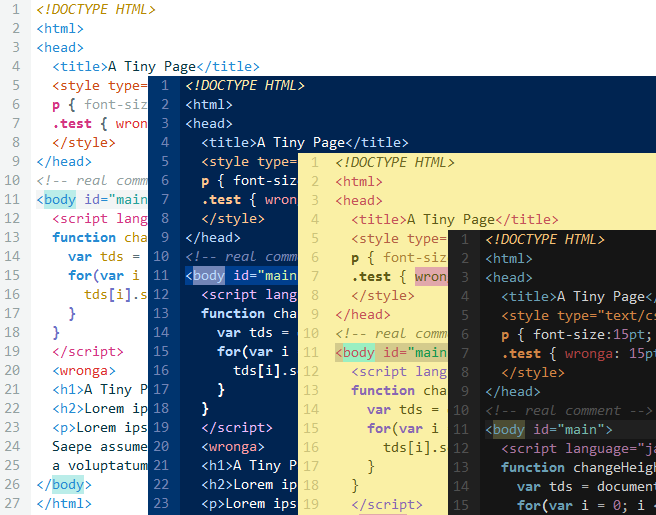 Editor is shipped with some interesting color schemes, including Solarized. 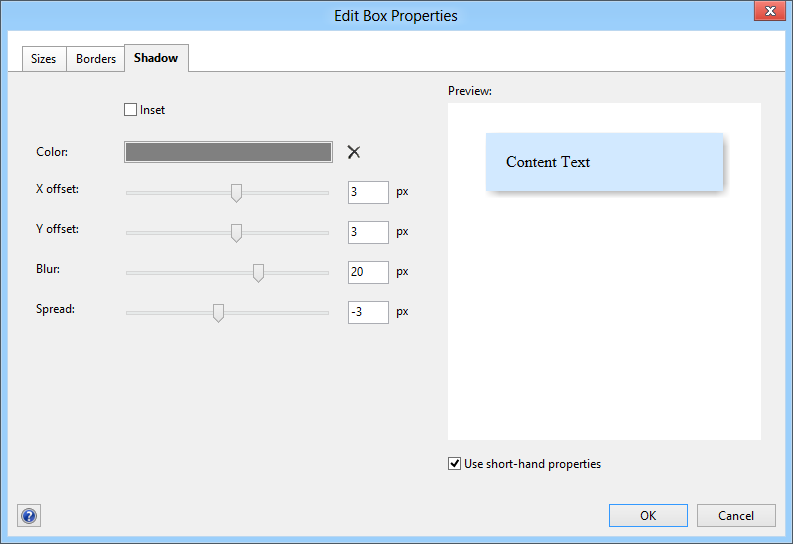 Editor is fully customizable. Most users, however, will find that it is already ideally tuned out of the box. Powerful spelling checker helps to find and correct spelling mistakes. Most important options can now be switched on quickly via Options menu. Install the editor on an USB drive and carry around with you. Add more features by installing additional plugins. You can also create your own custom plugins.